"We need to keep building bridges, we need to keep the American dream." A falafel restaurant opened by a Syrian refugee in Tennessee has become a pillar in his community, and a gathering place for people from all backgrounds and walks of life to come together over food. Yassin's Falafel House in Knoxville was the winner of this year's Reader's Digest Nicest Place in America accolade. "America is the winner. Knoxville is the winner. Tennessee is the winner," the restaurant's owner, Yassin Terou, told "Good Morning America" anchor Robin Roberts after learning he won. "It's not me." He continued, "I think this is what makes us the winner, is the people in this country, not us." 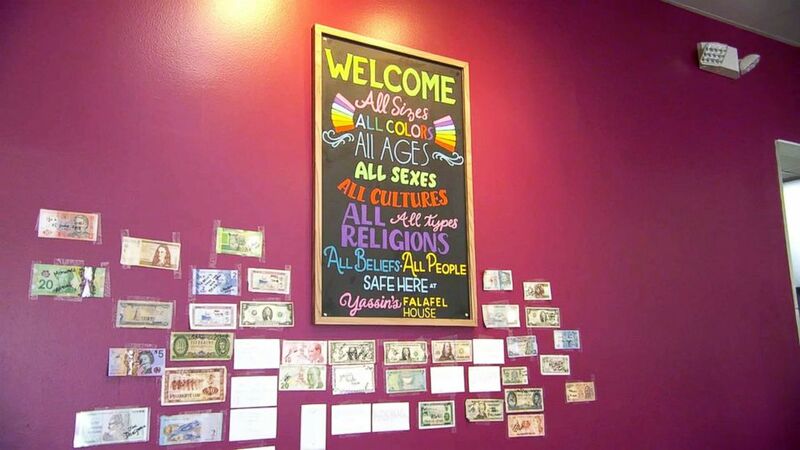 The sign posted at the entrance to Terou's restaurant reads: "All sizes, all colors, all ages, all sexes, all cultures, all religions, all types, all beliefs, all people, safe here at Yassin’s Falafel House." (ABC News ) Yassin's Falafel House in Knoxville, Tenn., was picked as a finalist for Reader's Digest Nicest Places in America. Roberts paid a visit to the restaurant earlier this year, where she met with Terou, a refugee who fled war in his home country of Syria seven years ago. The library is a finalist for the Reader's Digest "Nicest Places in America." Life Moves Yoga was a finalist for Reader's Digest "Nicest Places in America." He said he feels he "had a second chance of life to be in United States." 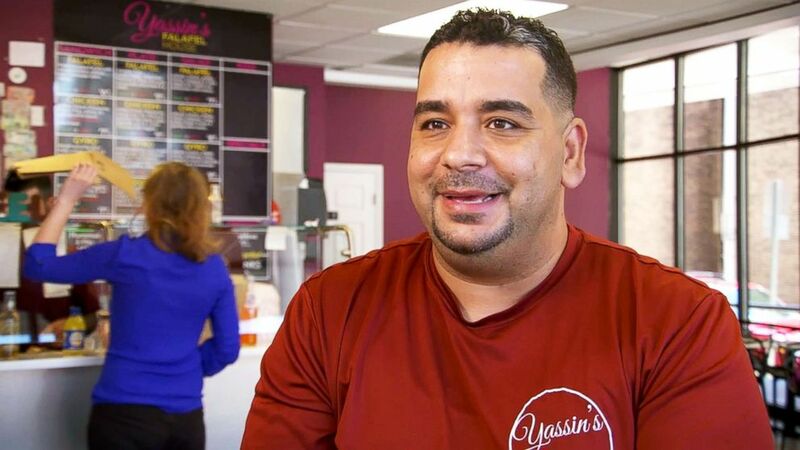 (ABC News ) Yassin Terou, owner of Yassin's Falafel House in Knoxville, Tenn., opens up in an interview with "GMA." “I just want to tell the American people, you are a great people," Terou said on "GMA." "Everybody loves you and we know you love everybody. We are going to keep this country great and we’re going to build it together." Terou recalls it was not always smooth sailing when he first arrived in America, though, in part because he wasn't able to speak English very well. He said he learned how to "handle hate with love." "When you love and give your love to people, you are stronger than one who gives hate," he added. 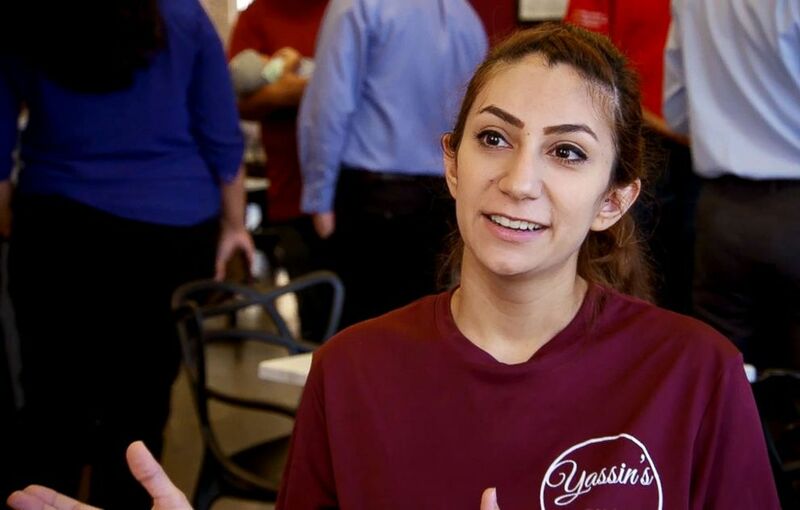 (ABC News ) A worker at Yassin's Falafel House opens up in an interview with "GMA." Terou put Roberts to work in his kitchen, saying, "today we are making heart-shaped falafel," and showing her how to properly make the mix and fry them. His restaurant is more than just about food, Terou added. "Yassin's Falafel House is about family, about love, about building community," he said. "So we make sure when you get your food, you smile and feel love with it." Many of the employees in his shop are also refugees, Terou added. "I want to say thank you to Yassin," employee Hunar Muhammed told "GMA." "He give me a job ... he helped me a lot." 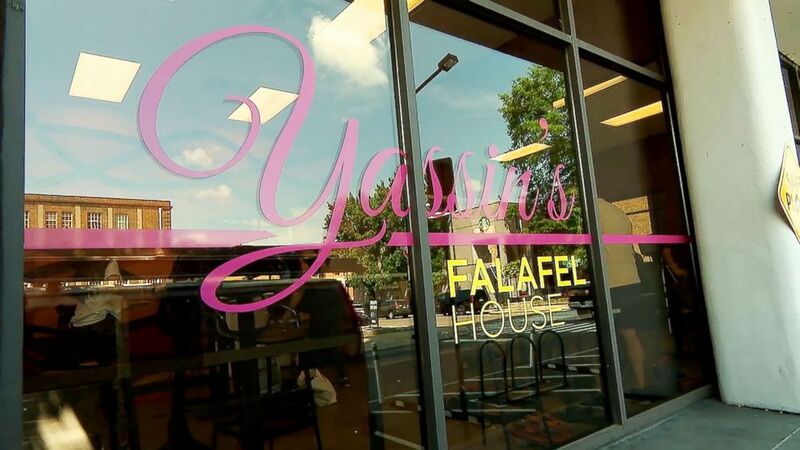 Knoxville mayor Madeline Rogero said she feels the city has changed a lot in recent years, saying, "New businesses like Yassin's have come in." 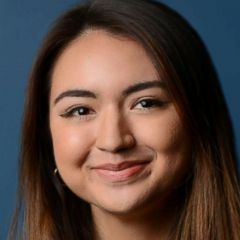 "But also as a community, I think we're more welcoming," Rogero added. Rogero said she believes Terou has "really torn down people's perceptions" of "refugees, of Muslims," in the "heart of Appalachia." Terou said his final message for those who hear his story is: "We need to keep building bridges, we need to keep the American dream." "This is in our hands," he added. "And we need to transfer it in a better situation for the next generation."